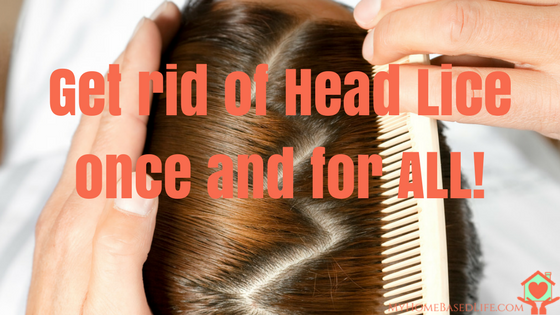 Getting rid of head lice can be tricky. You may feel like you’re in the clear, after using a lice treatment, only to have them reappear a week later. This is all too common with head lice and there are a variety of reasons for this. Usually, it means you didn’t treat it properly or completely. With pests like lice, you have to do more than just treat your hair once with a medicated shampoo. You’re also going to need to take a few other steps to ensure you get rid of them completely. Here are some tips to getting rid of these tiny pests once and for all. These products tend to work on live lice, but are less effective at killing their eggs. Not only that, lice have recently become more resistant to the effects of pyrethrin-based treatments. If you try this and it doesn’t work, you might want to talk to your doctor about prescription strength lice shampoos. There are some available that will also kill the nits (eggs). If you’re looking for a natural fix, there are several home remedies circulating that let you fight back with ingredients from your pantry. Many people swear by olive oil or mayonnaise treatments to clog the holes that the lice use to breathe. However, results using methods like this typically vary. When small bugs such as lice are exposed to hot (dry) air it causes them to lose body moisture and die. Using a blow dryer on your hair is very effective at killing lice and nits, though it’s necessary to dry your hair multiple times. Make sure you use a lice comb when you’re done to remove both the dried-out lice and eggs. Some people also find flat irons (hair straighteners) to be helpful at killing lice. Keep in mind you’ll have to go very close to the scalp and also cover every strand of the hair so this might not be practical for young children or someone with really fine hair that won’t take well to the heat. No matter which treatment method you choose, you’ll need to apply it at least twice. Lice eggs are very resilient and tend to survive shampoos or other treatments. This means that while using shampoo might make lice go away for a while, they’ll be back as soon as the babies have had time to mature. Make sure to reapply your treatment after 7-10 days, so that the eggs have time to hatch into more vulnerable adults. The most important thing to know about treating head lice is that you have to get rid of the nits. 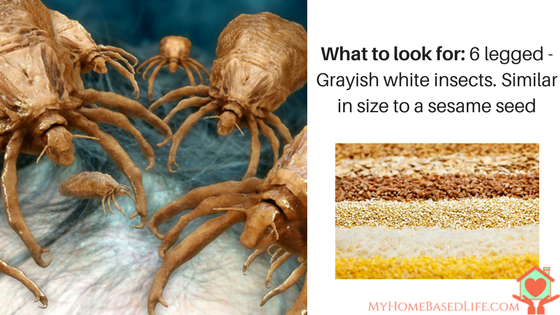 They are tiny and difficult to see, especially for certain hair types, and you need to get rid of every single one, lest they hatch into a fresh batch of lice. 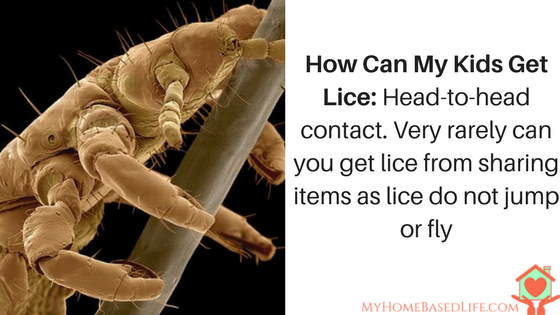 So while you may not enjoy going through every strand of hair with a fine-toothed comb, that is exactly what is needed to truly get rid of lice. Once you’ve eradicated the lice on your head, the next step is to eliminate the bugs in your home. Make sure to wash hats, clothing, and bedding. Stuffed animals and other items that can’t go in the wash should be sealed in an air-tight bag for at least a week. This will kill off any parasites left on them. You should vacuum floors and couches and other surfaces that may have gotten lice on them. Lice cannot live all that long without a host anyway so as long as everything is cleaned up properly, your issues should resolve. By following all of these steps you can get rid of lice for good. It can be hard work but it’s worth it to properly treat your infestation. This is such great information. Lice just creep me right out. I’m glad I have all of this information to fight them if they ever make their way on to my kids. Gah! Lice! I am a dude that can face most anything, but lice? No way. Great tips on how to get rid of them. This is something that every parent should bookmark. Those creepy crawlers make my skin crawl. My youngest came home with it once, and I just could not deal. It was AWFUL. So far I have been lucky enough not to have lice in our house. If I do I swear I’m going to be flipping out. I will have everything in bags I will be vacuuming and I will be using a lot of lice treatment. These are some really good tips that I’m going to keep in mind if I ever have to worry about it. blond curls because of lice. It broke his mother’s heart. I havne’t had to worry bout head lice in a very long time. I do remember getting checked multiple times when I was in school though. LOL! Head lice is gross and irritating. It’s really important that we keep our hair clean. I think these are great tips! Really helpful. This is a real problem here during summer. And it’s so fast to spread with girls. I agree that using the right products will help. I remember when I was little, my sister brought it home from school a couple of times in the same month. It was a nightmare to get rid of and the cleaning was tiresome! I pity anyone who has this issue! I have had to deal with Lice a few times when my daughter was little. It was awful. I would spend hours combing her hair and get rid of them. Then she would go back to school and come home with more. It was so annoying. I got fed up and ended up putting off in her hair one day and I felt bad but we didn’t bring any more home. This has been going around our school lately, and I sure hope it doesn’t hit my girls. I’m glad to hear of easier ways to get rid of lice though. I remember getting it when I was a child and it’s no fun. Yikes! I’m so glad my kids have never had lice. I hope they never get it. I don’t know what I would do. My kids school last year was infested with lice from November through the end of the school year. It was horrible and frustrating to deal with. Our family was fortunate as my son and daughter were literally one out of two or three kids in each of their classes who didn’t end up with a head full of lice. Nice post maybe I should make photocopies and pass it out at school pickup time to parents. Fingers crossed my kids stay lice free again this year! Yikes! This reminds me of my elementary years. I had head lice and it was awful. Good thing my son never had this problem. This is always good information. This isn’t an issue in our home because of the hair products we use. YUCK! Just the picture of them gives me the heebie jeebies! I have avoided them my whole life and definitely want to keep it that way! It’s great to know more about nits and lice, and how to get rid of them. I didn’t realize that the eggs are so resilient against treatments! My daughter has lice that we’re pretty sure came from her school, so I’ll have to remember what you said here.